The 26-year-old midfielder sustained a hamstring injury in Barcelona’s 1-1 draw at Inter Milan on Tuesday in the Champions League. 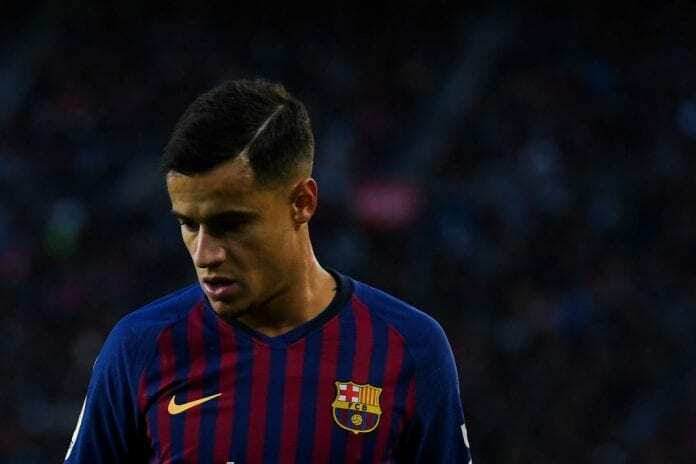 After completing the full 90 minutes at the San Siro, Coutinho complained some discomfort afterwards and underwent tests earlier this morning. “Tests undertaken on Thursday morning have confirmed that Philippe Coutinho has a small rupture in the femoral biceps of his left leg,” read a statement on the club website. Therefore, Coutinho will miss Barcelona’s La Liga game against Real Betis on Sunday. He will also be unavailable for Brazil’s friendlies against Uruguay and Cameroon over the upcoming international break. Coutinho has managed five goals and four assists in 16 appearances across all competitions for Barcelona this term.